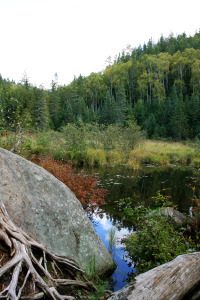 I have seen the Great Canadian Wilderness in Group of Seven paintings and window displays at Roots clothing stores. 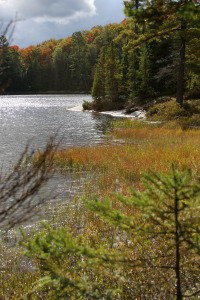 Think cottage country, the Canadian Shield, the lakes and the woods, the sound of a loon calling, and the smell of a bonfire. I have always imagined this with longing, but have never quite experienced it. The West Coast is a different world. 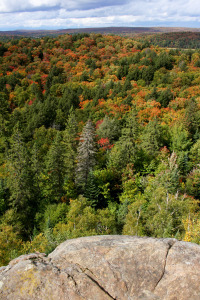 I love the evergreen trees and the mountainous terrain, but the landscape is so young compared to the Canadian Shield. 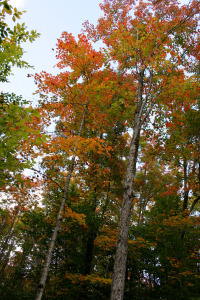 I feel very blessed to have experienced this Great Canadian Wilderness during its primetime in autumn. 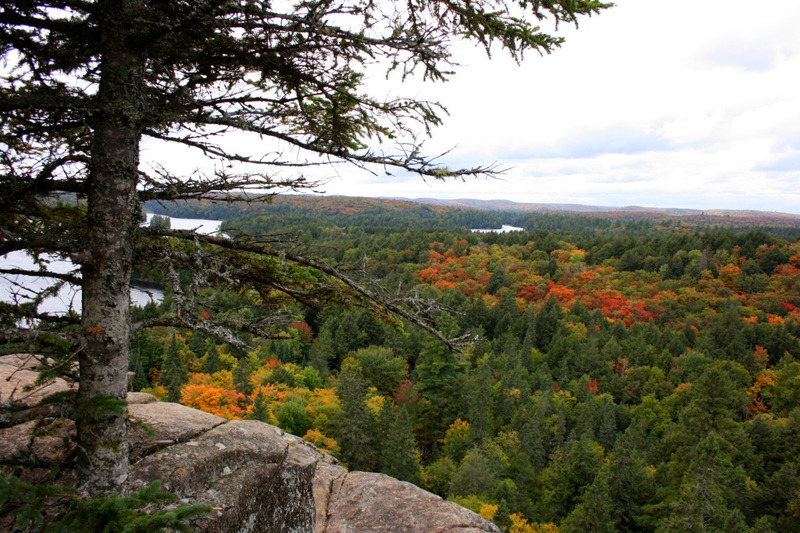 This 2-part photo post visits two of Ontario’s most beautiful provincial parks, Algonquin and Killarney. 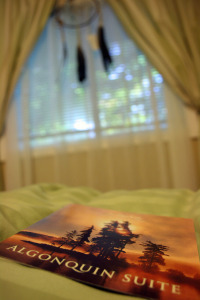 Soft adventure is how we jive, so after a hard day of hiking, we like to relax in the comforts of a nearby B&B. It’s the best of both worlds! 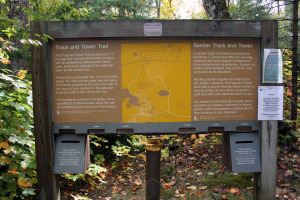 If I was a “trail architect” and I was designing the perfect hiking trail, it would be the Track and Tower Trail. 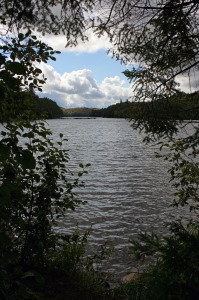 It has everything: lakeside trails, maples, creeks, spruce trees, marshes, rocky ridges, a spectacular lookout on top of the Canadian shield, and remnants of bridges from the bygone railway era. I love how the trails in Algonquin are loop trails, so you get a different flavour throughout the journey, while having the convenience of beginning and ending in the same place. The one-way circuit also helps with traffic flow. We made it to the top! What a view. 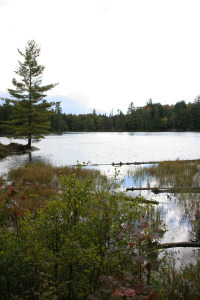 The Friends of Algonquin Provincial Park – This is where I ordered the Park Trail Guide for only $0.50 per guide. 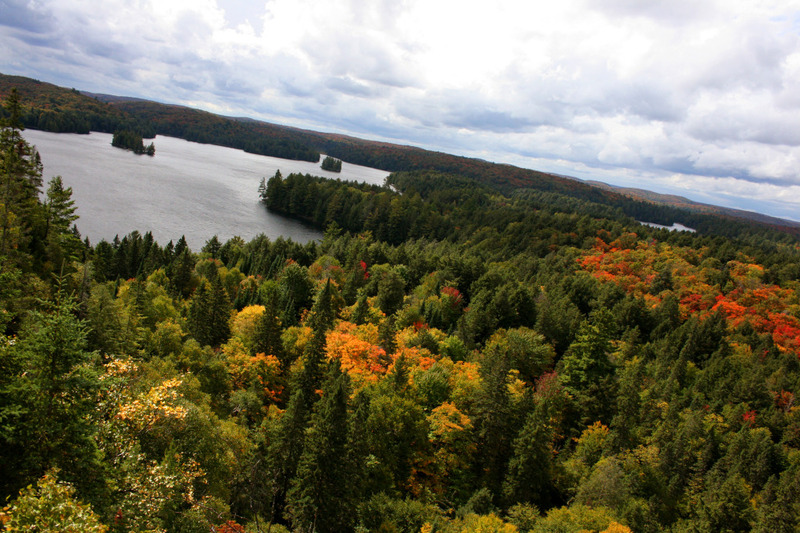 There are 14 guides in total for each trail in Algonquin Park. 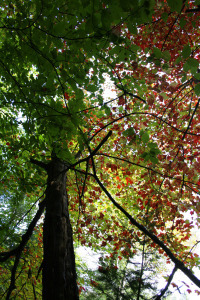 The guides provide maps with distances and elevations, and comprehensive stories about the trail’s history and wildlife habitats. You can also find the guide at the trail head, but I’m a planner so I bought them online in advance. They were mailed to me in a couple of days. 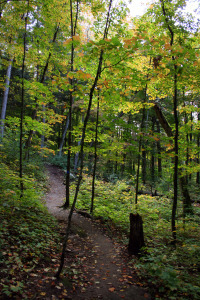 Ontario Parks – Complete trail descriptions (under Things to Do) and downloadable maps of each trail (under Maps), although they are quite basic. 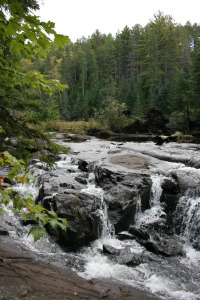 For more information about the trails, check out the Park Trail Guides from The Friends of Algonquin (link above). 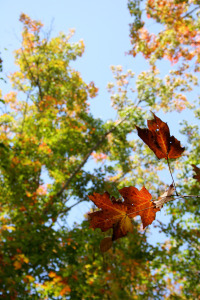 B&B Canada – Great website to find and book B&B’s across Canada. Rather than drive back to the city after a day of hiking, why not relax for a night at a nearby B&B?